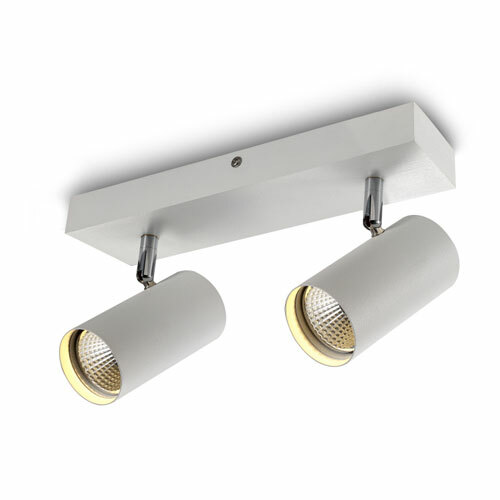 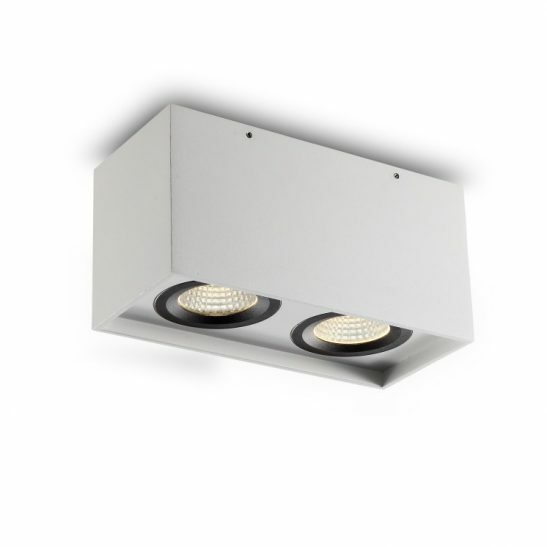 Sleek and stylish this twin white LED ceiling spotlight fitting uses a 2 high power 5 Watt CREE LED that produce a total of 1000 lumens of light output. 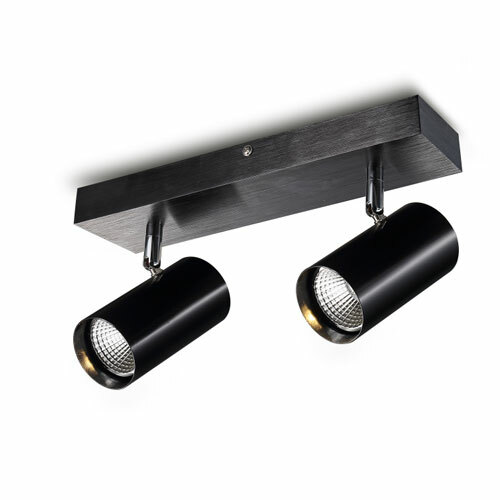 The heads can be tilted to point the light in the desired direction. 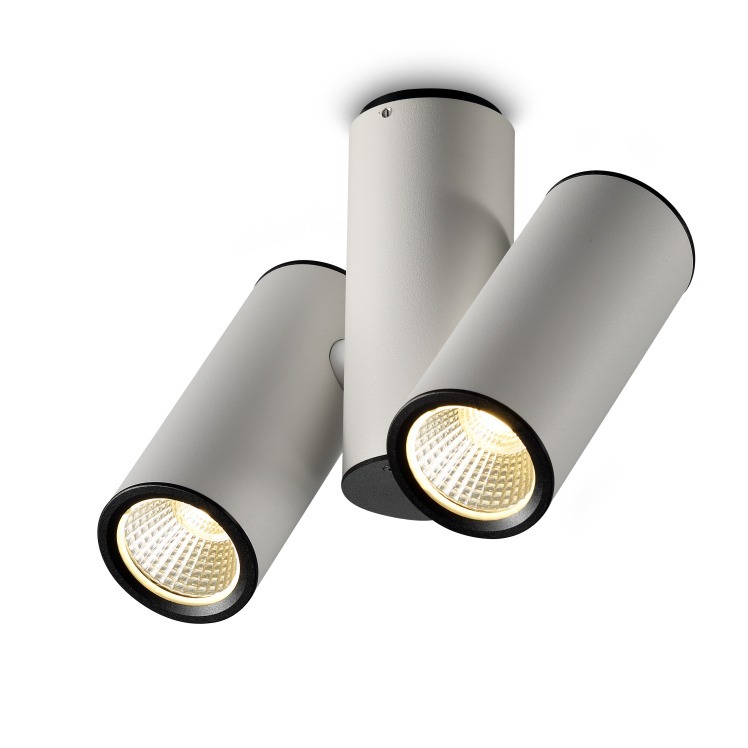 Finished in white with black end cap and black rim to the spotlight. 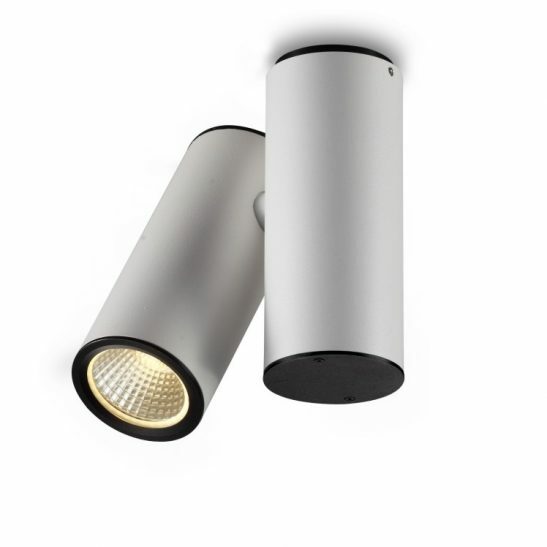 Lots of applications for these fittings from, kitchens, illuminating walls and objects and many commercial applications.